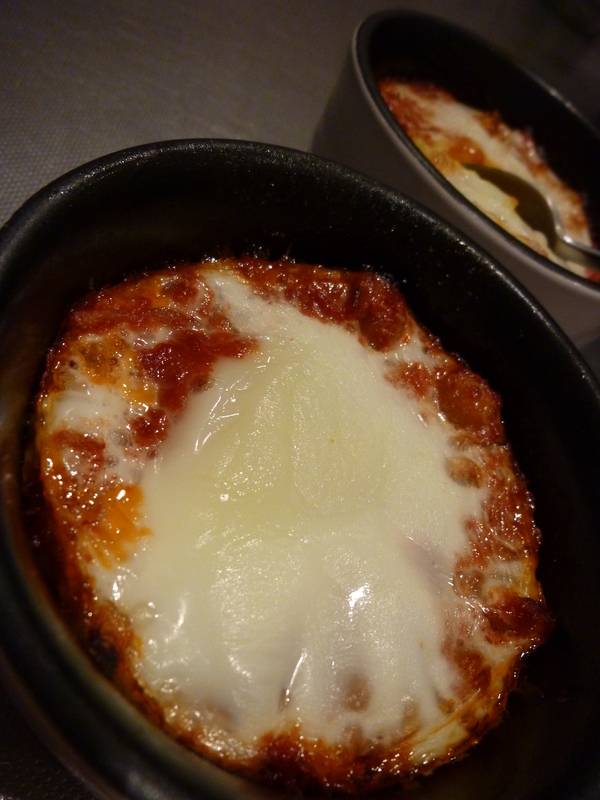 Makes two little ramekins – enough for 2 people (or one very hungry person). To make enough for 4, double the recipe. Preheat the oven to 175C (350F) and grease two little ramekins (I used ones which were 10cm wide, 6cm deep / 4 inches wide, 2.3 inches deep – keep in mind that if you use a different size the cooking time will change). 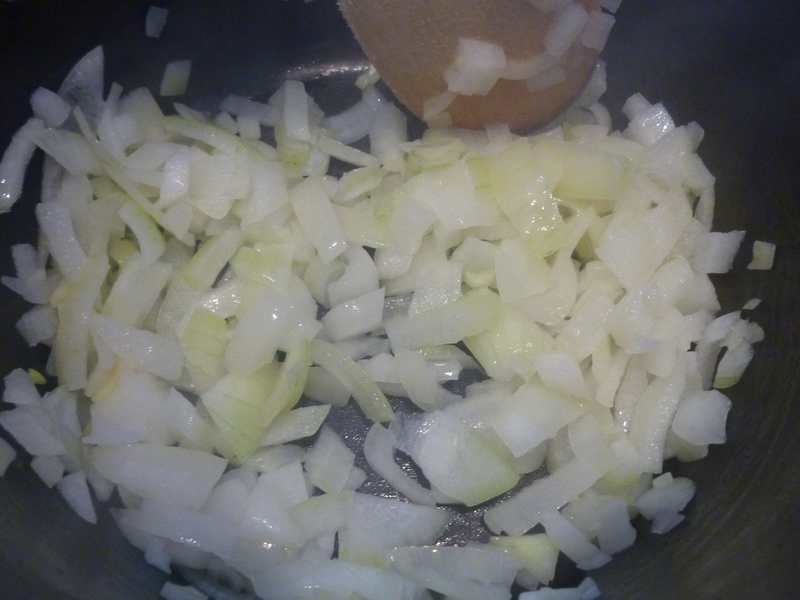 Cut up the onion into small chunks and pop in a small pot on high heat. 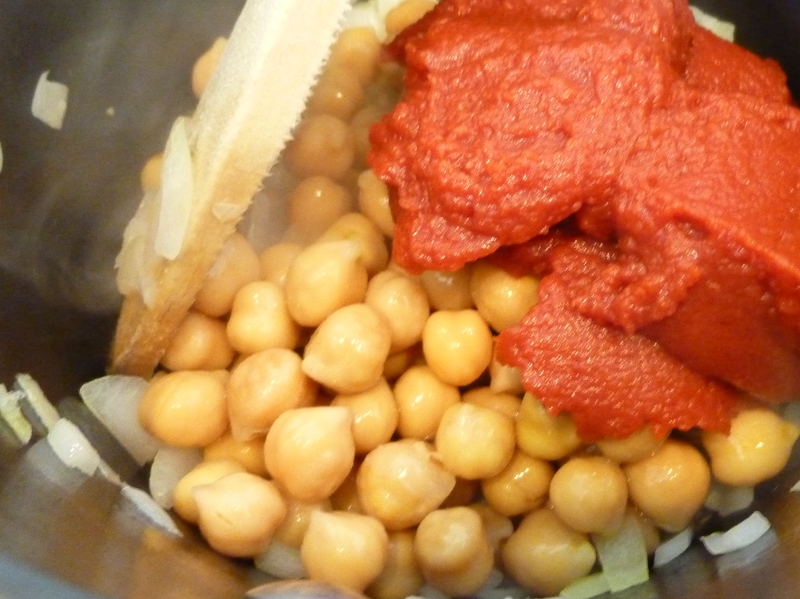 When the onions are starting to turn glossy (and I like to cook mine till they get a nice brown surface as it gives it more taste), add the tomato paste, chickpeas, water and spices. 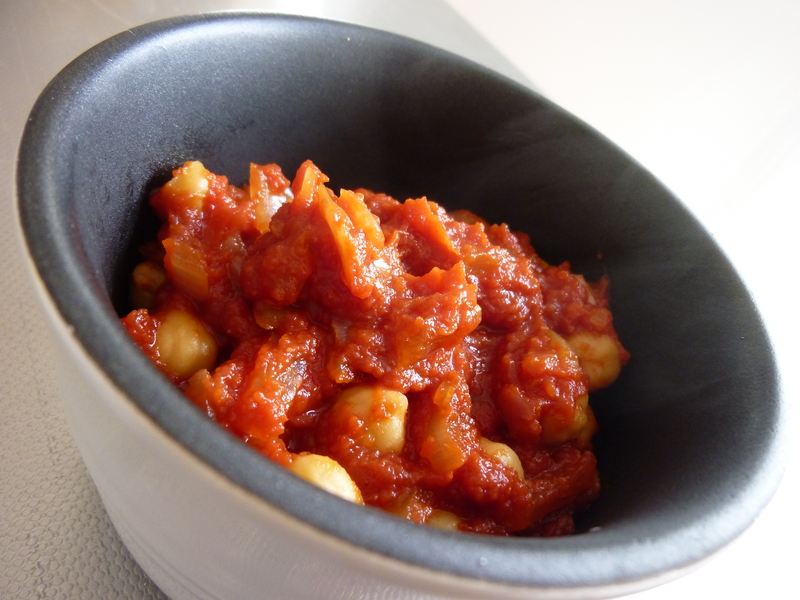 Give it a good stir and pop a lid on it for 10 minutes in order for the flavors to develop (or longer if you want the chickpeas to turn mushy). 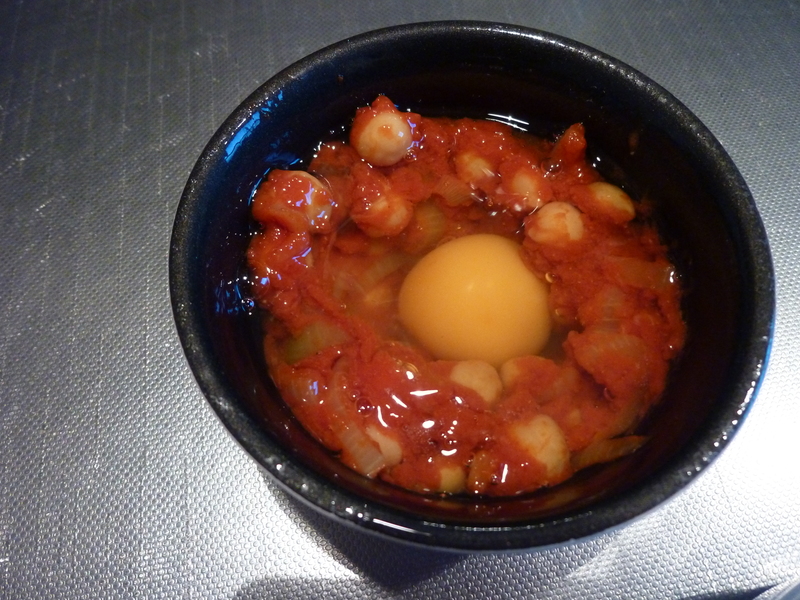 Now divide the chickpea mix into the two ramekins, spoon out two holes for the eggs and pop them in. These will turn out with the eggs almost cooked all the way through. 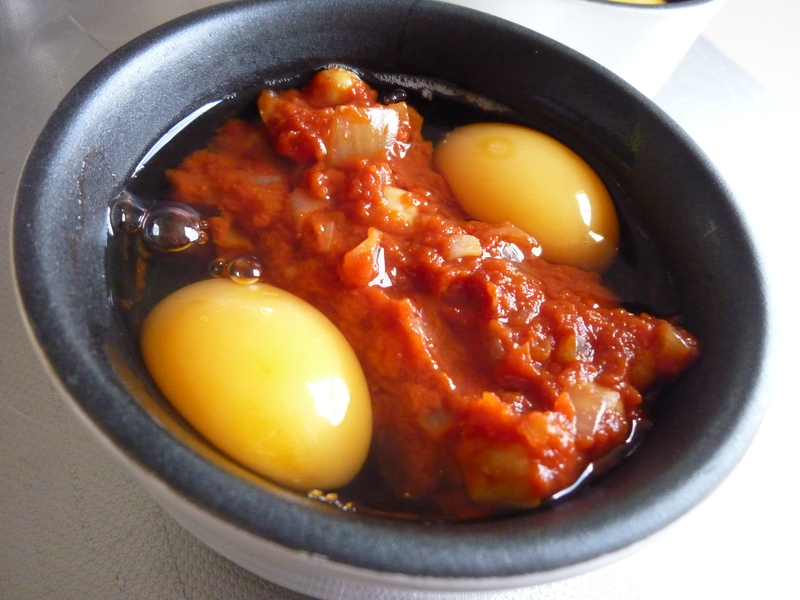 If you would like the egg yolk to be soft and runny, make a hollow in the middle, separate the egg yolk and put it in first, then the egg whites on top. Cook for approximately 20 minutes or as long as it takes for the egg whites to cook (as soon as you see no uncooked egg whites, take it out the oven or it will cook all the way through). Whilst they are cooking, make the bacon (fry to a crisp on a dry pan, then place on a plate with kitchen towel to soak up the extra fat – better finish the bacon before the rest and then keep warm in the oven than let anything go cold). Plate it all up and it is ready to eat. Enjoy! THIS! Is food for champions! we can cook barry, ken? 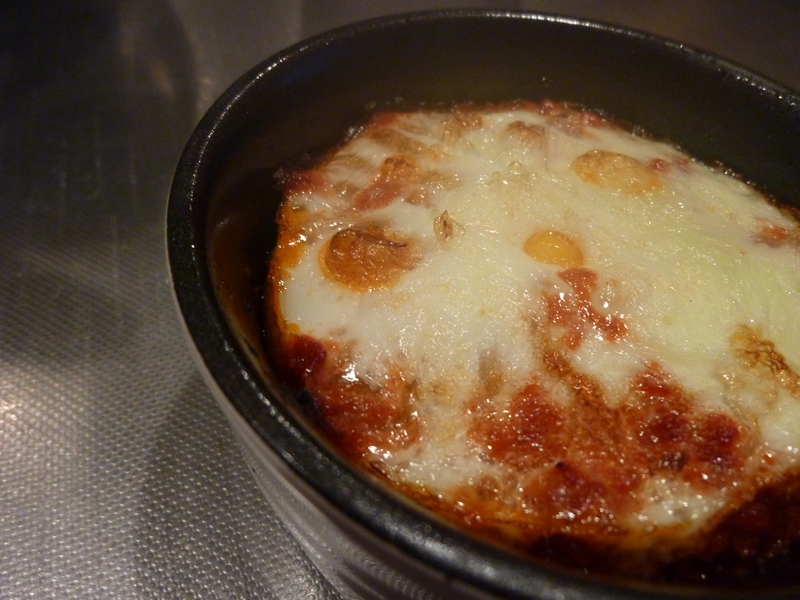 Love baked eggs. 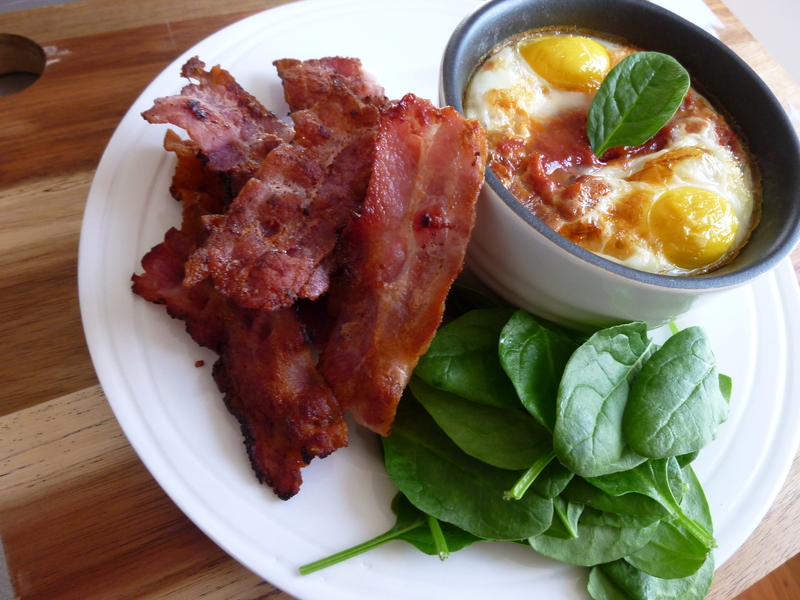 I make a variation on this with just spinach, parmesan, bacon and eggs, but I like the idea of the tomato/pea mix. Looks fabulous. Thanks Jeannee 🙂 I can’t believe I hadn’t discovered baked eggs before this (I love eggs in any way). Doing it with spinach and parmesan sounds fab too! 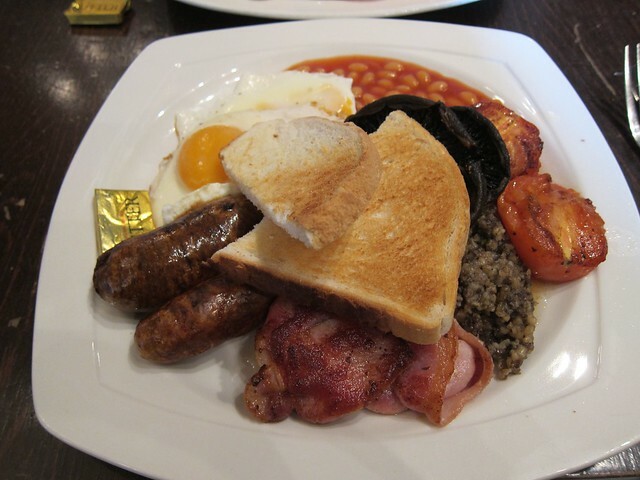 A breakfast like this … I would welcome with open arms .. even for dinner, as the lonely diner I’m. Wonderful … this will be bookmarked. Awesome 🙂 Yes I could have this for dinner too!